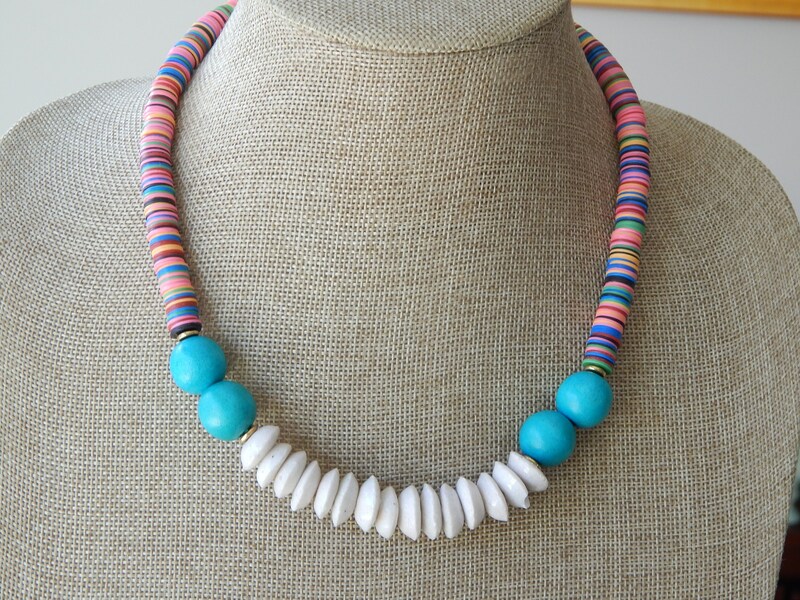 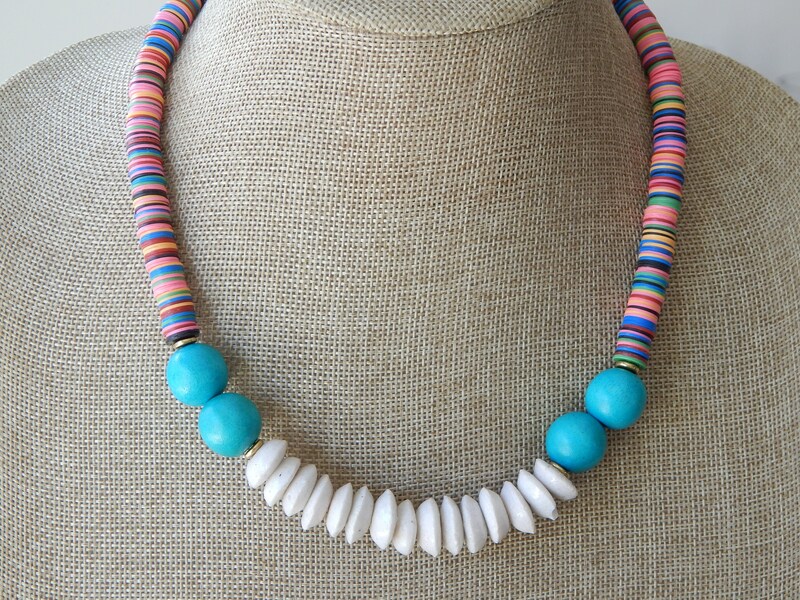 Colorful african vinyl beads are accented with recycled white glass rondels and turquoise wood beads. 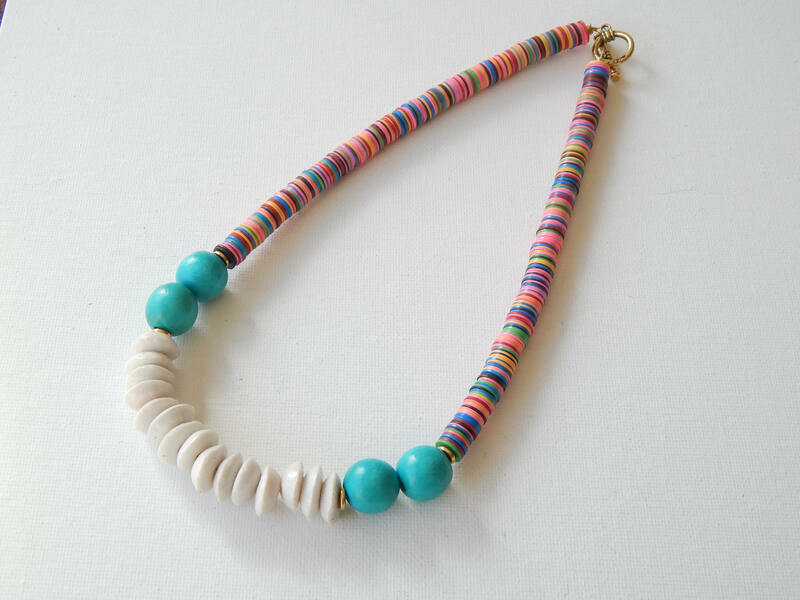 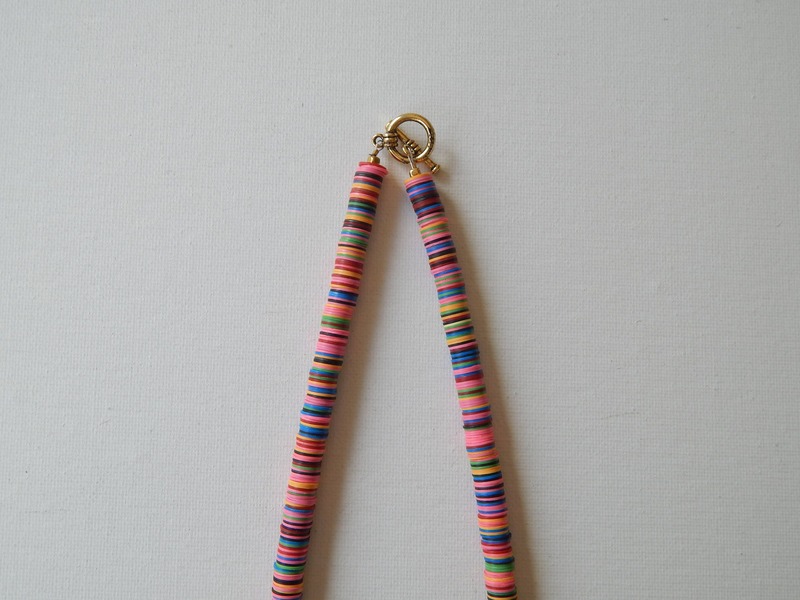 Create a colorful layered look with this necklace or wear alone for a boho festival vibe. 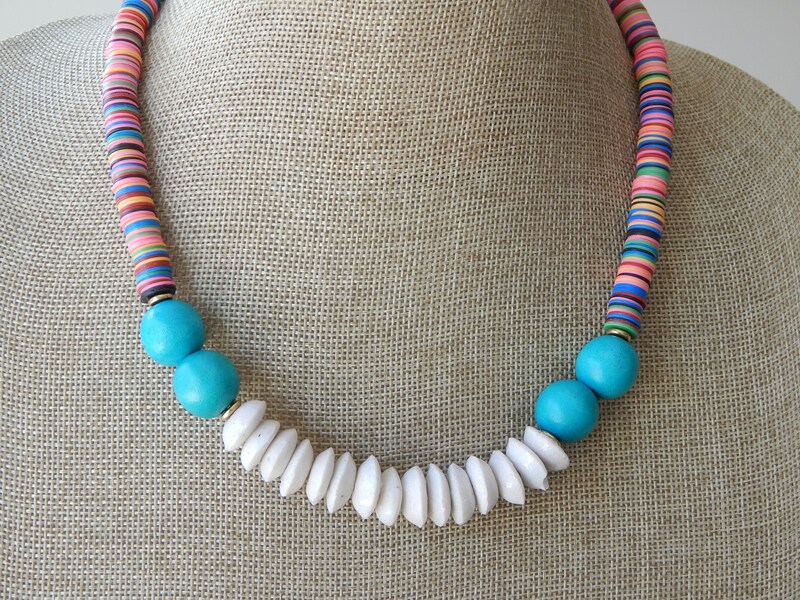 Necklace measures 18 inches long. 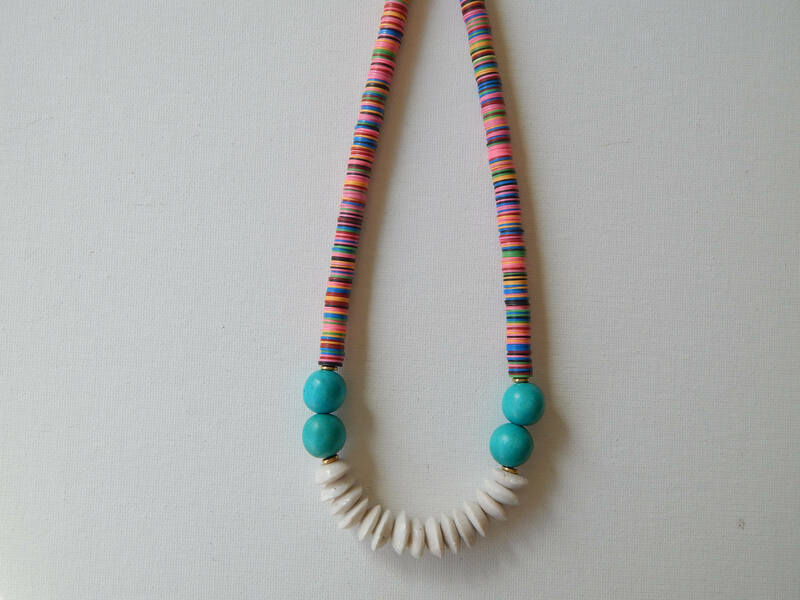 Vinyl beads measure 8mm, turquoise wood is 15mm and white rondels are 15mm. 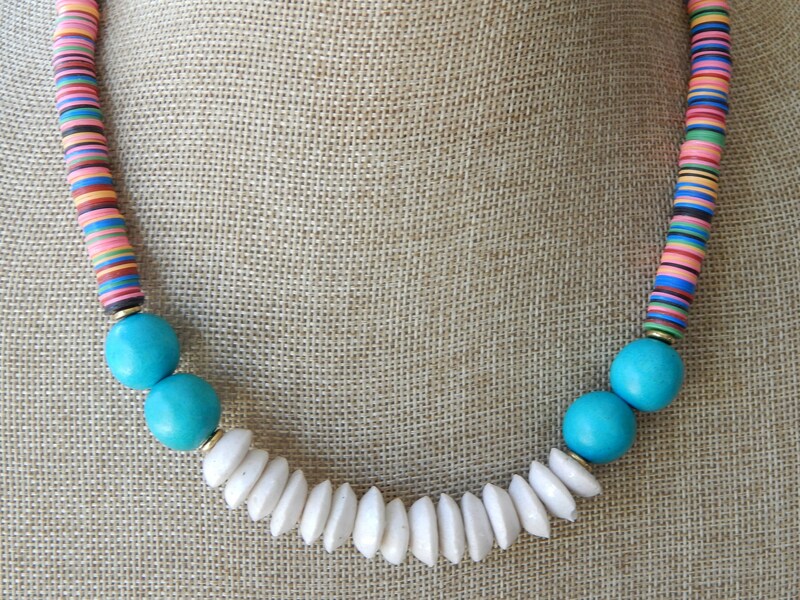 Necklace is finished with a toggle clasp for easy on and off.